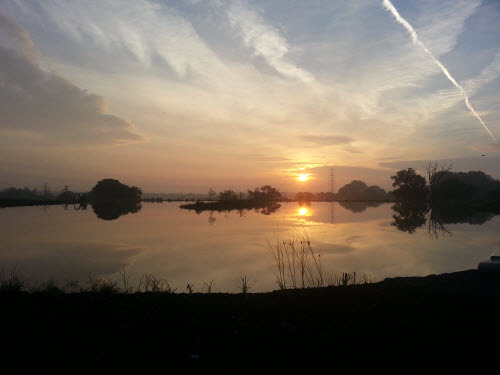 Hanrox Fisheries, Hanrox Meadows coarse fishing lake has been purpose built for the enjoyment of anglers wanting peace and tranquility. The 2 acre lake is set in 15 acres of countryside and is stocked with Carp, Roach, Golden Rudd, Rudd, Tench, Bream and some Gudgeon. 14 double swims are available which include disabled swims. Fishing is by pre booking only and will be charged at £15.00 per day or £25.00 for 24 hours. Close to the M1 / M25, the lake is surrounded by countryside.